Be careful with these monitors - some models come with speakers, some do not. I have one without speakers - but with audio out - and it is a fine monitor. Excellent for this price. Just make sure to double check what you actually are getting speaker or non-speaker wise. What is so special about it to have high original price. I think the 'S' is the glossy display variant. It also has a smaller chin. 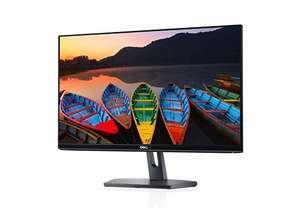 https://www.dell.com/en-uk/shop/compare?ocs=210-afzi,210-aqok Doesn't seem like it is? It seems to suggest they are similar in performance other than this one having lower power consumption. Not sure about the response rate figures as it's not clear which one the link you provided is using to compare it to this deal. what's the difference between this &amp; the S2419H model? Also possible to get 10% student advantage or 10% employee advantage (for companies that use Dell) with this. Not sure if this works in addition to TCB but I bought this monitor yesterday in this way. Decent saving, nice looking monitor. Presumably refers to the bezels rather than the depth. 10 days is too long. In the good old days in was 4 days. I am using an 10-year old Dell. The newer ones all had motherboard failures and the worst service ever. I will not buy Dell again. I also had the, "plugged in not charging" messages on the Chinese made Dells. Come back, Compaq. Dells are more expensive, but they are worth it. In fact last time I had to send something to be repaired, from the moment I handed it to the courier, it was back in my hands within 10 days, and that was being sent to the repair centre in Germany. Compare that to Acer support who took 3-4 weeks and tried to hold my laptop ransom asking me to pay for them to fix it (got it repaired for free though after I complained) And ASUS support who straight up deny any problems with their garbage products and refuse to fix things. Anyone know if I can stack this with a student discount? Ah great, I needed another device to say "plugged in not charging" after the 53rd week I have it. 12% off is better than full price though! More a "is this any good" than a deal, I'm looking for a mid-range laptop and see there's some money off at Dell at the moment. Likely TCB too. Aren't those ports restricted on the Dell re bandwidth or what you can power through them? I seem to recall reading that. My son's XPS 13 died after 2.5 years, sadly, and the motherboards (known issue...) are £500! Have gone for and XPS 15 from the outlet as there were 11 of them; i5 models which they no longer sell on the main site, so I am assuming that these are all new and being cleared. Managed to get 15% off with university code (there is a Unidays 14% code for the main site) so pretty good deal. Hopefully this will last longer. Sadly, I also bought a desktop for work and that had the engineer out to replace the motherboard after 3 days. Told him the problem was with the CPU, so now the machine has been shipped to Germany for repair. Thanks. Agree the CPU is good. But, I understand from the previous comments above, this laptop's build quality is not that great. 2019 model already released for the XPS 13. Next 2-in-1 model will probs be around June (Computex). The i5-8265u is a cracking CPU, faster than a lot of recent i7's and it's a quad core. Agreed. Far too expensive for 1060 Max Q. What is that? GTX 1060 is to much for this processor? Please explain, seems fair price now reduced however full price is OTT for the spec. I thought the performance gap was higher but after checking some benchmarks it's not it worth me changing just for a better cpu. It's sold. They've a 7th gen i7 for similar price. Unfortunately have to agree here. Also sending mine back. Wasn't offered any money though! I had an issue with the screen which was fixed at my home by an engineer next day, however it wasn't before he broke the mousepad and didn't put the thing back together properly! Found the speakers to be too quiet for my needs and I can't get over the ghosting on the screen. Will probably wait for the new Matebook X Pro. Returning mine. Screen flickers and fan is constantly on. Audio output control is horrendous too. Funny thing, when I phoned to return it they offered £150 off if I keep it. It was still within 14 days cool off period. Someone might try this trick to get some money off. Now I've got MacBook pro 13. No issues what so ever. Xps is a nice machine but flawed. I think having done that first it might have worked but they now have all the service tag details and faults reported. Also I do not agree having to pay anything at all for this fault to be fixed as I know 100% it is inherent in the board and wasn't my fault. Having used dell for years thisay benof use to someone. Few years back, my alienware was just out of warranty by a few weeks and died completely. I got in touch with their warranty dept requesting an extension to what was an expired warranty. They were at the time doing a 30% promotion so it was about £200 for a new 2 year on site warranty. They asked if there was anything wrong with the laptop to which I told them no, even tho there was. Warranty was then extended and a few days later phoned tech dept and engineer sent out following day with new gpu, motherboard and daughter board which sorted it. This is the best method if you're just out of warranty as cost of a new warranty will likely be less than the cost of repairing it yourself. Hope it helps. I really like it. Had to change some settings on monitor (mode to 'cool' from 'warm'). I like the whites super white. I have a new windows installation. Trying to get some games on. Initial impressions - very nice. BTW, I'm sitting right infront of it. If i try to look it from an angle, it looks a bit dark on far side. I've no experience of the XPS range, only the 5000 and 7000 series. However, looking at the specs, they seem a little thinner, a little lighter, with a narrower bezel, but a lot more expensive. Cheers, and how do these compare to xps 13 in your opinion? The i7 is about an 8% speed increase....... https://cpu.userbenchmark.com/Compare/Intel-Core-i7-8565U-vs-Intel-Core-i5-8265U/m591977vsm566107 The RAM can be easily upgraded with a single 8GB stick. Any decent branded 2666MHz DDR4 Non-ECC should do. Is the i7 worth the price premium? Any idea if 8gb can be upgraded to 16gb, and which brand ram is most suitable to match the existing 8gb inside? I am very tempted to pull the trigger on this in this case. Thanks for the info. It ticks all the boxes for a 500ish laptop. Sold out now, I was just about to pay for it as well. Does someone that's not clueless might commenting and explaining on the specs of these a bit? I'm in the market for a decent work/dev laptop for £300-500. where did you get it from ? I think that the refurbs are probably brand new as they are no longer for sale. Also, does anyone know how to extend the basic warranty? Yay managed to get one today had a nightmare yesterday with the website going round in circles. Thanks op. recently upgraded my G3 with additional 8GB RAM and Samsung 970 Evo 256GB, all for ~£120. Would you get a 256gb upgrade for £100? I've recently purchased a 1070 GTX laptop, 8750, 16GB ram etc, which blows 2060 out of the water. I was seriously looking at this, but benchmarks for 2060 laptop just too poor compared to 1060, Ray tracing is a nice feature, but there is no way you will be able to use that on a laptop graphics card and get a decent (30+) framerate. Also the power supply is puny. IMO for extra 100 quid, it is much better investment. Can you quote the actual benchmark figures, so we can see the difference other than "noticably smoother". It is far easier to just see the written down min/max FPS than trawl through youtube videos. Try unidays for even cheaper (y) &#x1F3FC;. Looks like an error to me. Maybe worth taking a punt though. Includes monitor. Had the monitor refund now and the base payment was never taken. I got the monitor refund today but still waiting for them to cancel the base unit payment pending. Crazy! Just had the refund applied for the monitor to my paypal account. Not sure if that's been a natural process or if the added weight of the paypal claim may have helped hurry it along? 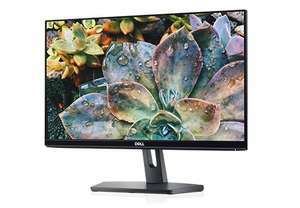 I currently have an old Dell UltraSharp U2312HM 23" Monitor with LED which runs at 60Hz. It's an IPS 1920x1080 (max) resolution, really well built and not a bad looking but has a 8ms response time. 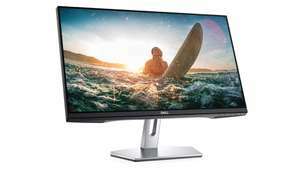 I'm looking for a 27inch upgrade with 144Hz and preferably 2560 x 1440 resolution and a max response of 4ms. I'm looking for an upgrade for PubG and Battlefield gaming but not sure if it's really worth it as I only have a MSI GeForce GTX 1070 GAMING-8G Graphics Card. Any assistance or suggestions would be appreciated. It's not. People forget that pixel response time is not the only thing that determines the lag of a monitor, you also have the input lag of the panel itself. I upgraded from the pg278q to pg279q and according the to tftcentral the overall lag of both panels is the same despite the latter being IPS. What was the price without discount? The brainchild of teenage computer geek and now billionaire entrepreneur Michael Dell, Dell Computer Corporation began operating its direct sales business out of a University of Texas student dorm room in 1984 and had already amassed millions in profit in its first 12 months. Thanks to having significantly lower operating costs compared to their competitors and expansion into the server market, Dell enjoyed steady growth year on year to become the top PC manufacturer by the turn of the millennium. Nowadays, Dell sells all sorts of computing systems, peripherals, and consumer devices direct to the public from its website at www.dell.co.uk or by contacting a Dell sales expert on 0844 4444699. Pre-assembled and refurbished desktops and laptops are available from the Dell Outlet. Other online retailers like Amazon UK, John Lewis, Curry, Very can be found on the Find a retailer page. Online orders made on dell.co.uk are powered by the VeriSign Checkmark via Norton Secured, meaning you can be confident your payment details and other sensitive information are protected as you go through the checkout process. Top categories in the consumer section include: Dell Laptops, Desktops, All-in-Ones, 2-in-1 PCs, Tablets, Alienware gaming systems, Monitors, Printers, and Accessories. The business section includes similar categories but replacing the Alienware section with Workstations, Servers, Storage, and Networking solutions. 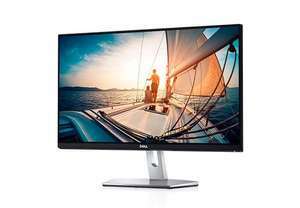 Dell displays deals on its website via the Deals page and Outlet section, where you can grab discounted computers if you are willing to accept their pre-built, uncustomisable technical specifications. Dell also advertises weekend, monthly, and seasonal clearance sales throughout the year as well as the big annual Dell Black Friday and Cyber Monday sale that you’ll see advertised almost immediately following the previous year’s event has finished. New customers can complete the checkout process without creating an account, although there is an option to do so if you wish. The benefits of having an account with Dell mean faster order status checking and support options that are easier to find thanks to being linked to your purchased devices. Dell will accept the following payment options for online orders placed by home customers: Visa, MasterCard, American Express, Maestro, and PayPal. Dell is much more flexible if you are a business customer, however, giving you the option to pay via Visa, MasterCard, American Express, and Maestro cards, PayPal, bitcoin, Dell Financial Services, or opt to receive an invoice for your order. Simply put, buy a Dell Inspiron or XPS laptop or desktop and it will delivered to you free of charge. Otherwise, if you buy a pre-built system or other device from Dell, the shipping cost is usually included in the final price and it will be sent the next business day, which means getting the product in your hands in just a couple of days. Custom-built systems will need a few more days to go from factory to your doorstep; Dell estimate around 4 to 5 days depending on your location. But keep in mind that this doesn’t factor in the time it takes Dell to build your unique system. If you change your mind about a purchase, Dell gives you 14 calendar days to cancel your order, starting from the day after you receive your order confirmation or from the day you receive the product; whichever is later. Likewise, if you receive the wrong product or the product arrives damaged, the same 14 calendar day cooling off period applies to return requests. Service and software cancellations and returns work a little differently, with pro-rata refunds given for services used within the returns period and software returns only given if you haven’t started using it already. Go to the Product Support page. Enter your order number in the space provided and click “Submit“. To cancel an order, select the option to make your return request. Note that if your order shows the status as “In production” or “Shipped” then you won’t be able to cancel it. To return an order, select the option “Return an Item/Order“ and fill in all your information on the next page, which will be sent to the Dell e-mail customer support team. Dell will then contact you with details on how to proceed with the cancellation or return, including details such as any applicable collection dates and return shipping costs. Unless your product arrives damaged or the product is not what you ordered, then you have to pay £20 excl. VAT to pay for collection of desktops and laptops and £10 excl. VAT for electronics, printers, and accessories. You can expect to get your refund within 14 calendar days from the day Dell receive your cancellation or return request. Dell’s official corporate blog, Direct2Dell, keeps you abreast of all the goings on inside the business. Find it at here or, if you prefer to get tips, tactics, and tools to help you build a better business, then check out Dell4Enterprise at. Dell has a large and diverse range of apps on the iTunes App Store and Google Play Store, each satisfying specific functions and gratifications from the productivity management and mobile monitoring portal that is K1000 GO (available for iOS devices and for Android) to the offbeat, Austin city-based golf game, Dell Play Through is available for iOS devices at and for Android. Dell’s registered postal address in the UK is Dell House, The Boulevard, Cain Road, Bracknell, Berkshire, RG12 1LF if you want to mail the customer support team. Alternatively, Dell can be reached by phone on 0800 5871456 for home customers, 0844 4443792 for small to medium business customers, and 01344 373727 for large enterprise customers. Phone lines are open during normal business hours Monday to Friday. Head over to the e-mail support page to select your specific support issue and enter detailed information about your query if it still can’t be resolved from the FAQs. You can also take a look at the Manuals or the Drivers & Downloads pages if you have problems with your Dell products respectively need to update them. Check out hotukdeals regularly to stay up to date about all the latest and best deals on Dell computers and accessories.